Some parents I know are rather nonchalant about teaching math . . . others shudder in fear at the mention of Algebra. Where do you fit on the range? While I will admit that I have been blessed to understand Algebra fairly easily, that's not always the case with my friends! Emily and I have been reviewing Algebra: A Complete Course from VideoText Interactive. I think it may be just what some of you 'shudderers' need to look into! The courses available from VideoText Interactive include both Algebra and Geometry, and were written by Tom Clark. Tom has 46 years of experience in education, and has been working on the VideoText teaching concepts for the past 25 years . . . since he was explaining them to his own children! You can click here to read Mr. Clark's bio. I'll just chime in to say that we had a few issues when we first received the online subscription (partly due to having just gotten a new computer.) Tom graciously and generously worked with me over the phone multiple times until they were all figured out . . . and documented it in his files in case anyone else had the same struggles. 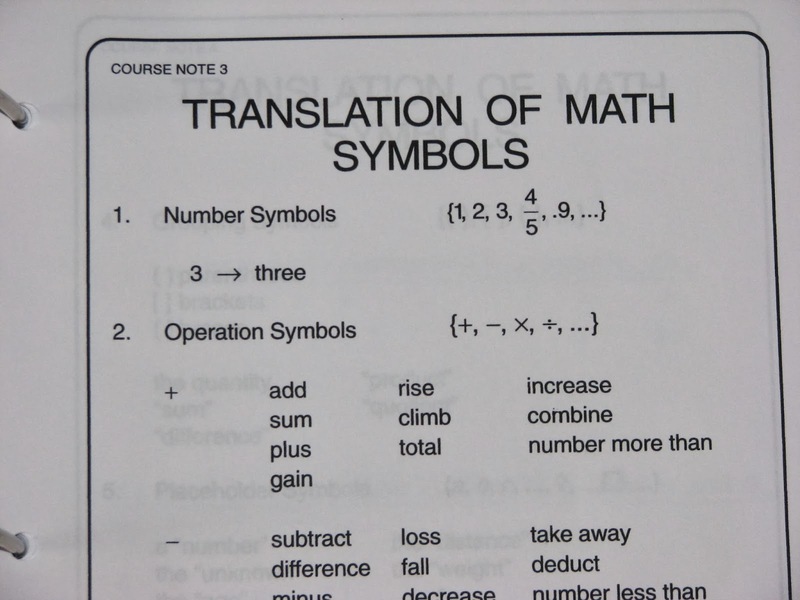 Yes, I know, that is still a chunk of money, but when you realize that the online version gives you 3 courses' worth of instruction (Pre-algebra, Algebra I, and Algebra II) for two students, that works out to only about $50/ kid/year. Now, one of the REALLY cool aspects of this course, is that it doesn't break between what is traditionally taught in Algebra I and Algebra II. That means there is less review, and more actually getting learned. In fact, if you have a motivated High School aged student, they should be able to complete the whole course in about one year! This was particularly appealing to us as Emily and I had gotten behind in her Algebra I coursework last year, but we still want her ready to take Chemistry next year. When I initially looked over the website to see how VideoText Interactive might be different than what we had been using, I read the review from Dr. Jay Wile. His comments about how many homeschoolers are not ready for Chemistry because of their lack of understanding Algebra made me take notice. Regardless of which curriculum we choose for it, we would much rather have Emily be prepared for Chemistry next year than try to follow the traditional path of Algebra I, Geometry, Algebra II! By now, I hope you have overcome any initial aversion you might have had to the price. 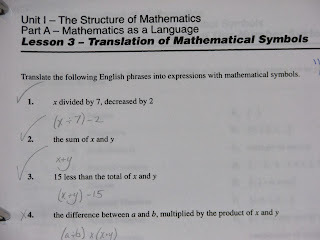 If not, keep reading, you will see why this mastery-based Algebra program is SO solid. Notice, I said the STUDENT checks their answers, not the parent! That's right, you as the parent are there for the student to talk to, to be a sounding board where they can explain what they are learning, and for technical help. You are NOT there to teach the course . . . the videos do that. When you read the several pages of introductory notes Mr. Clark has included, you will be better able to see how you work as the pacing-mechanism. 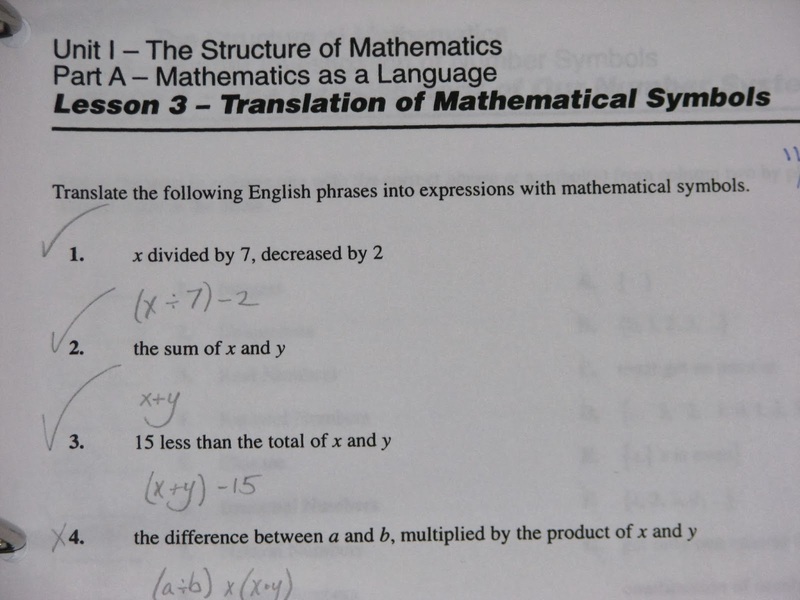 When a student has watched the video (hopefully with you alongside them (learning or re-learning it as needed)), and explained the examples to you, you then assign them either the even or odd problems from their Student WorkText. Even thought it suggests doing the odd problems first, Em seemed to have a penchant for doing the even ones. The idea behind only doing half of them is that then the student checks their work (huzzah for not having to grade everything myself!) If they got all, or almost all of them correct, then the student is done for the day. If not, they watch the instructional video again, go over the course notes again, and try the other half of the problems. 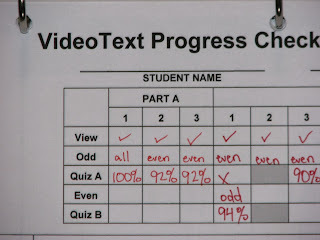 The following day, the student takes a quiz on what they learned yesterday before they watch a new video. This allows you to judge whether or not they have stored the information in their long-term memory, or only short -term (like happens when you quiz right after the lesson!) There are two version of the quiz, so you can have them take a second appropriate one if needed. The overall idea is : watch the video, review course notes, do the odd problems. Next day: quiz A. If successful move on, if not, review video & notes, do evens, then take quiz B the following day. As you can see, we adapted it a little by skipping quiz A on the section where Em did rotten on the even problems and went straight back to review. Some of the lessons don't have quizzes, because they are two-part lessons where you take a quiz on two video-teaching segments, after doing two days' worth of problems. Mr. Clark has included a handy Progress Checklist to help you keep track of what and how your student did, and keep their grades recorded. When the student has to check their own problems (and quizzes!) 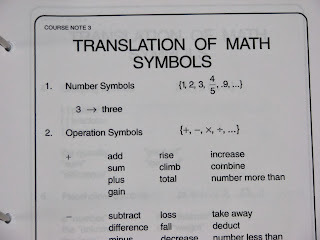 they get a deeper understanding of the fact that it is THEIR math course, not Mom's or Dad's. Your family will have different log-ins for the parents and students. The students are not able to see the solutions unless you log into YOUR side of the online program for them. I can see this having a two-fold benefit. First, it keeps them honest (no cheating) and second, it gives the student less distractions on their page while watching the videos. 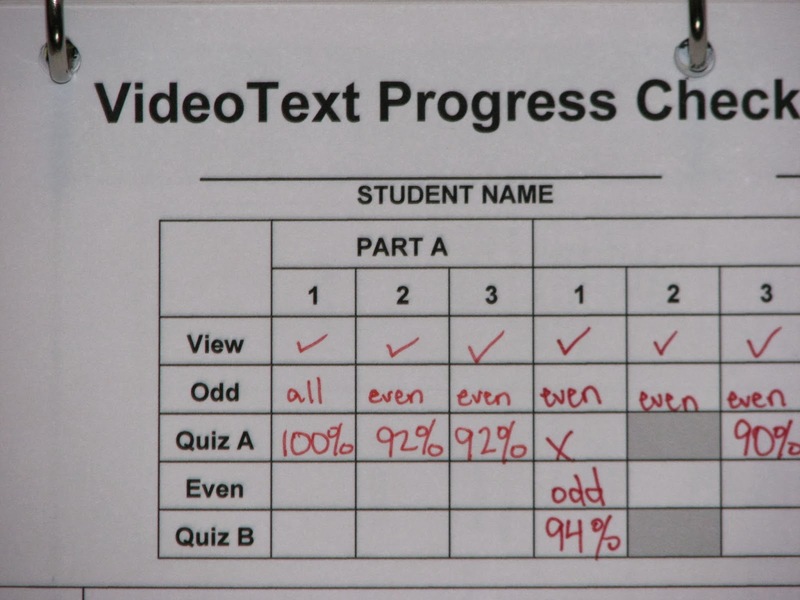 Having the course notes already typed and ready for view allows the student to focus on the video instruction, not on how well they take notes. I think less gets missed this way. Have we gotten as far as I would like during the review period? No, but I now know that Em understands all of those concepts she tried to learn last year. That is more important than how many lessons she accomplished. 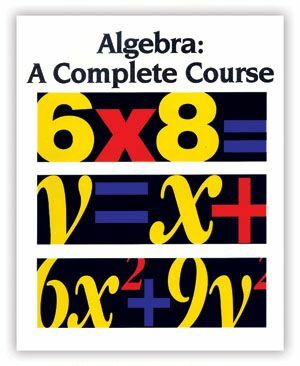 We will be continuing to use Algebra: A Complete Course during the school year, and part of next summer if necessary, with the goal of Em being ready for Chemistry next September. How do you determine if your child is ready? VideoText has a page about that. If your child if fairly good with the basics: add, subtract, multiply, divide, decimals, and fractions . . . they are probably ready. Now, we are taking the one-year pacing method, but MOST people take the two-year pace where you do a lesson on day one, and the quiz on day two. If you missed it earlier, the course comes with a three-year window from the date you activate each student's account. Thus, if your oldest is ready to start, but your second child isn't ready yet . . . just don't activate the second yet! This three year window keeps both the student and the parent from stressing out if a day or a few days get missed (illness, vacation, Grandparents come to visit, etc.) Think around ages 12 or 13 and up for beginning the program, based on readiness. If you are still not sure, VideoText Interactive offers just the first part, Module A (Algebra readiness), as an online option ($59) or print ($99.95) with a 30-day money back guarantee. In our house, I printed out the course notes, Student WorkText, and Quiz A's for Unit 1 before we began. I wasn't sure if Em would want all of the course notes, but she said they help her a lot, so I'll keep printing them out. You can decide how much in advance you want to print things out for your student. If money is tight, or you're out of ink, it is possible for them just to copy everything off of the computer. Just be aware that they may mis-copy the original problem sometimes . . . so extend some extra grace! 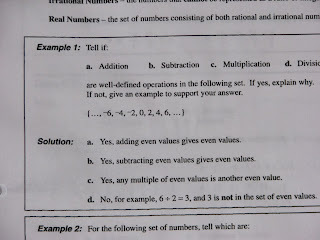 Being from a family of mathematicians, I just want to say that this is THE BEST Algebra course I have ever seen! This is how I was taught. (All the extra practice problems in the world won't help if you don't understand HOW to do them, and higher Algebra concepts won't make sense if you don't understand the WHY of simpler ones.) The cost is higher than some other courses, but worth it! This is a case where you get what you pay for! I think it's time for me to go write a line-item in our budget . . . saving up for VideoText Interactive's Geometry course! To read all the Crew reviews, just click the banner below! Only 4 More Days . . . and a book giveaway!